There is this one animation that really got to me, Rise of the Guardians. The plot involves these immortal Guardians like Santa Claus, the Easter Bunny and the Tooth Fairy who protect the children of the world from fear, darkness and despair. However, an evil boogeyman named Pitch Black (I know right? Total bad guy name.) plans to overthrow the Guardians by destroying the children’s belief in them. It’s falls to Jack Frost to help thwart Pitch’s plans and save the Guardians from destruction. The work of the Guardians is to protect the children from fear. Jack Frost is recruited into the group and he doesn’t understand why. You see, unlike the rest, he is invisible because children don’t believe in him. Because the children can only see what they know and believe in. But he goes along anyway, creating snow storms and beautiful snow days and enjoying watching the children having fun. So where am I going with this? When Jack Frost was initially told about being a Guardian, he didn’t even understand himself and his purpose: he was invisible, didn’t care, and children couldn’t see him anyway. That being so, he couldn’t work well with the group. So he had to go back to where it all started to understand his present. He loved fun and snow days, and when he was alive he took his sister out to play. They played on thin ice and he gave his life to save his sister. His sacrifice was the reason he was brought back. After he understood that, he was able to fulfil his purpose in the group, then he is finally seen and heard after centuries. Jack accepts his place among them as the Guardian of Fun. (Seriously, this movie is dope). Recently, I had to go back to my source to understand why I am where I am now. You see, I have always been the go-to person whenever people have problems or issues, by default. I would lose sleep to be a listening ear. I would go out of my way to help anyone who was in need, emotionally, because that is who I am. I always have this wealth of advice and soothing words whenever someone is in a crisis. It is a blessing and a strength that I had embraced. My mum tells me I should study psychology and be a counsellor. Anyway, I always expected that the same would be granted unto me when I needed it. And in July 2015, I needed someone to listen to me. Someone to lose sleep because they were talking to me and soothing me, telling me words of comfort and praying with me. I have always reached out to people I felt were in tough situations and I thought it would be the same to me. But it wasn’t. Even my closest friends and family did not see that anything was amiss. And I wondered, could it be that I was this good at hiding my issues or is it that nobody really paid that much attention to me like I did them? Of course when you are feeling down you will always take the negative stand. I stopped eating, I lost weight, I stopped talking to people, stopped calling them. I deleted WhatsApp texts and in the process left all groups. After three days of swimming in my misery I realized something; people did not notice. Life went on as usual. It was like I didn’t even exist. I wondered why anyone didn’t follow up on me. Why didn’t anyone call and ask “Hey why are you so lost?” Why didn’t anyone force me to eat? (I do that to people.) Why didn’t I receive any WhatsApp messages asking why I was so lost? (Another signature Joy message.) I thought, maybe, I was the one who needed to reach out and talk about my issues. The people I chose to do so to either didn’t think I was serious or just didn’t care that much. And I sunk and I felt like my existence didn’t mean anything and nobody cared. During the same period I felt that all I needed was my daughter with me to give me a reason to live. However, my parents refused to let me have her. They said I wasn’t ready to take full responsibility for her. That just crushed me and sent me to depths of despair. One Sunday I stayed at home cried the whole day and for the first time in my entire life, I wanted to commit suicide. I took all the pills I could find and water and arranged them before me and I cried and cried. Then I prayed for forgiveness from God. The funny thing I wasn’t alone in the house. And the other person thinking I was doing a silent treatment thing was in the other room sleeping. So I decided that I must leave a note. I thought huh, a Facebook post will be better than a paper. And it will be there forever, I guessed. After that incident I took time off work and went back home to my mum and dad. I just wanted to be a baby once again and enjoy life in my father’s house. During that time, I reflected a lot on what had happened and more about that one person who was not even in my continent. We don’t even speak to each other often and yet he inboxed me at that time. Then I reflected on the many times I had reached out to strangers, a lady crying in a bus or a person who has written a post that they are stressed and I wondered: have I ever saved somebody’s life? Was that good karma coming back to me for my concern for others? I realized I had fallen into depression the time I decided to change and be someone I was not. When I cut ties with people and stopped caring what was happening in their lives. I stopped listening to people who needed a listening ear because I felt that they were draining me. I stopped reaching out to people in need because I felt they wouldn’t do the same to me anyway. The moment I did that, I fell. And at that moment, God reminded me why everybody needs a person who will reach out to them with no strings attached, why people need a Joy in their lives. So I found my centre, what makes me happy, what keeps me sane, who makes me happy, who makes me sane, who do I make happy, and who do I keep sane? Who believes in me? Who sees me… I found I enjoy spreading Love, Joy and Peace and making jokes (bad ones) to friends and strangers alike, and at that moment I chose Joy. Since then I have not and don’t think will ever feel invisible or alone ever again. Because I know at my point of need, someone will step up for me. It may be a friend, family or a stranger and it will be fine. And if you ever feel invisible and so low that you want to go, simply put a comma on that sentence. Start a new one. It is worth it. Joy. She has been my Facebook and Twitter friend for quite a while through mutual friends. I am so glad I bumped into her for the first time looking all joyful last month, especially after reading this. She blogs at Joy Write. 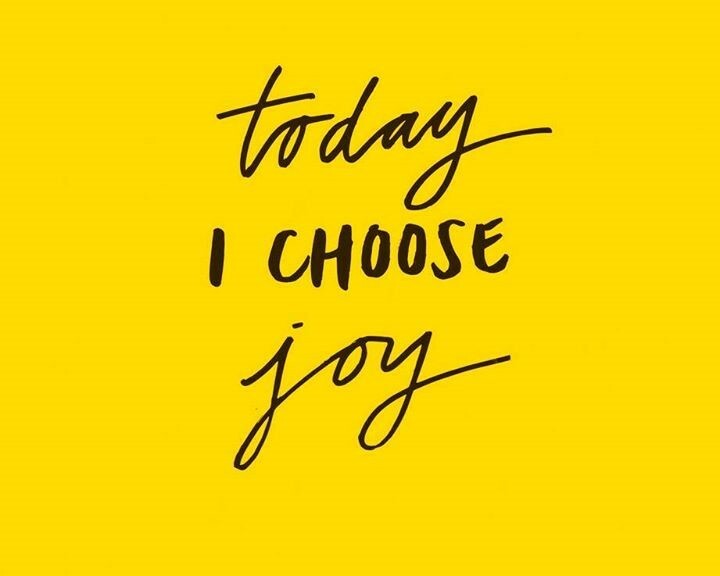 Choose joy, people. Yeiii! Cartoons rock. I thought I had watched Rise of the guardian’s until you started to narrate and nothing sounds familiar. I have to look for it. I’m sure you confused it with the owls too. Because I did the same thing here. I like your writing. One can really relate. I am sure it wasn’t easy going public with this, God bless you. Exactly, so it’s not the owls one.